Most people engage in sports of some type at some point in their lives. And the odds are good that most will suffer a sports injury at some point as well. 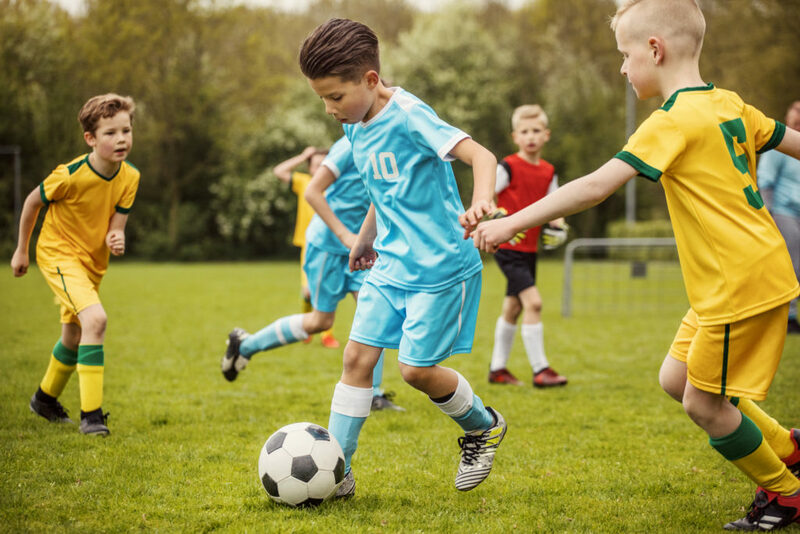 While no sport is completely free of the risk of injury, using common sense and taking just a few precautions can work in your favor. It’s important to take these precautions now – before an injury occurs. After you’ve suffered a soft tissue or bone injury, or various strains and sprains, you will be more susceptible to re-injuring the area in the future. If you’re out of shape, or have not engaged in physical activity for some time, there are a few steps you should take prior to engaging in any type of sport. First of all, you’ll want to participate in gradually harder conditioning exercises. Start slow, then work up to the type of cardio and strength training that will help you perform the sport of your choice. Then, take the time to adapt to the conditions surrounding your athletic activity. For example, if you’re looking forward to snowboarding this winter, be aware that you will have access to less oxygen while exerting yourself on the mountainside. So, jumping out on the first day and trying to do everything you used to be able to do is likely to leave you gasping for breath. You are at a greater risk of an injury simply because you may be fatigued faster and barely able to breathe. Take it easy at first, allowing your body to adjust to the physical demands of the sport and its environment. This should help you get acclimated so you can successfully hit that huge back bowl of fresh powder. Also, taking a break between exercising and sports can give your body the time it needs to heal properly between sessions. Wear the recommended safety equipment and properly fitted gear. For example, borrowing someone else’s shoes is a bad idea if they are molded to someone else’s feet and are the wrong size. Stretch prior to any physical activity and cool down afterward. This helps warm muscles up and cool them down. Stay hydrated. Always drink plenty of fluids to replace the fluid you lose through sweat. Be wary of the heat. If temperatures soar, and the weather is unseasonably hot and humid, it probably isn’t the best day to run 10 miles. Consider the weather or environment you will be exerting yourself in. You should not be in pain. Keep practical limits in mind and follow them when engaging in any type of athletic activity. If something hurts, stop playing until you can be examined by a doctor. Running with a stress fracture will only worsen the injury – and leave you unable to participate in sports for a longer period of time down. No matter how young or old an athlete is, there always exists a risk of injury. Don’t take it for granted that because you are young, or in great shape, that you cannot become injured. Sports injuries can happen to anyone. Athletes who make it to the big leagues are those who are not only gifted in their particular field, but they also take precautions so that they can safely participate in the sport they love. If you find yourself sitting out the first half of a season because of an injury, talk to a doctor who specializes in sports medicine and who can assist you with a rehab program as well as advise you of proper measures to prevent re-injury. The Orthopaedic Associates of Central Maryland can assist you with any type of sports injury. Call (410) 644-1880 today or use the online appointment request form.